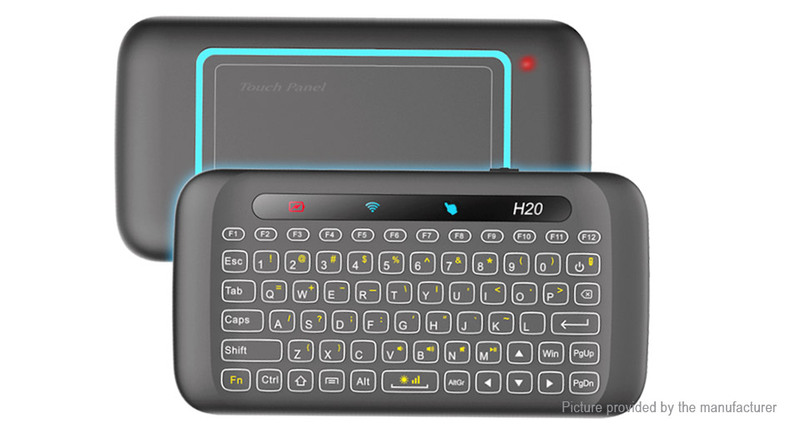 Multi-functional combo: air mouse, keyboard and IR self-learning remote integrated in one gadget while touch panel in the back side allows you to control latptop and other compatible devices at ease. Auto-rotation touch panel: with the auto-rotation axis, the touch panel&apos;s indicator and interface will auto readjust to fit your varied handling positions just like an auto-rotation screen in smartphone does. Readable graphical indicator panel: gets the working status with a glimpse and lighting indicators make them identifiable even in dark. Smooth and gentle backlight: allows you to see the keyboard&apos;s characters clearly while offers comfortable typing experience without increasing eye fatigue.